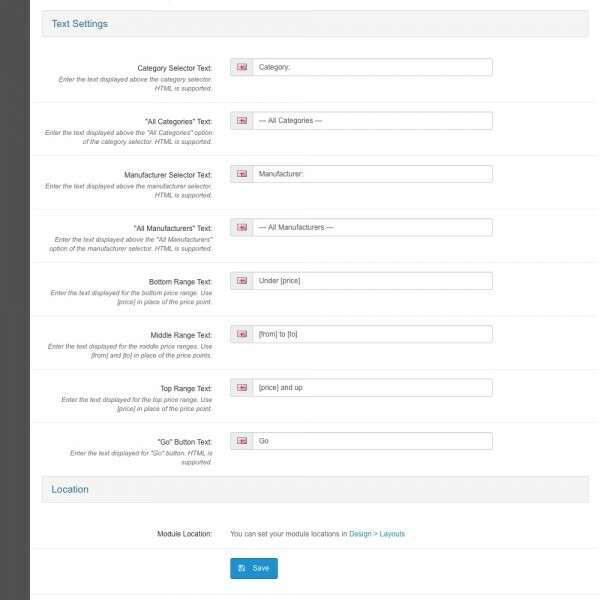 Generated product pages are 100% compatible with any custom theme. 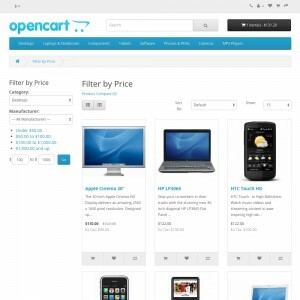 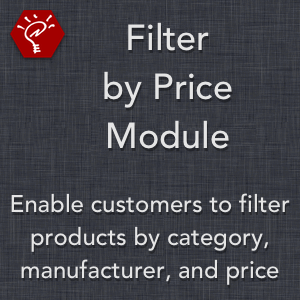 Optionally show category and/or manufacturer filters appear along with the price ranges. 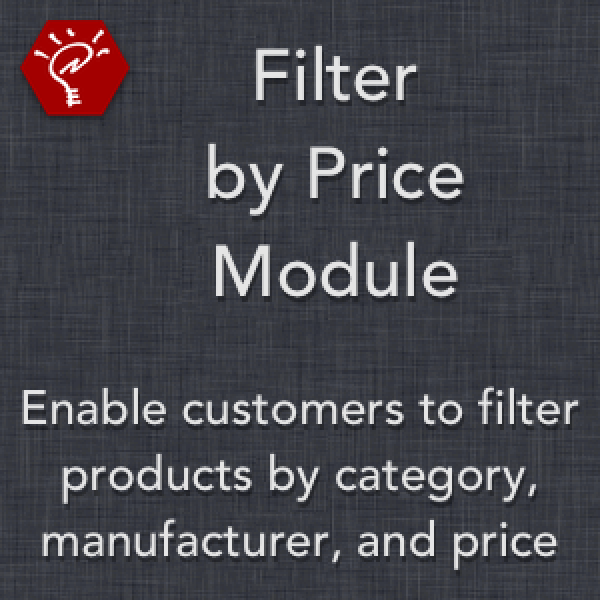 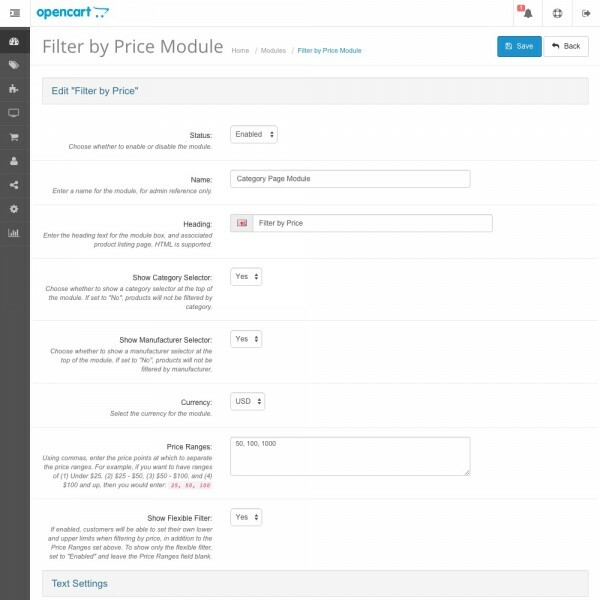 Choose whether to include a flexible price filter, which allows customers to fill in their own price ranges. 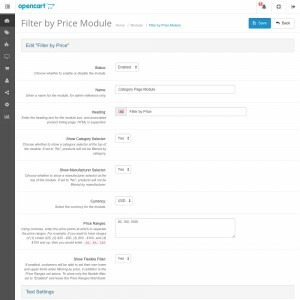 Properly sorts specials and, when set to display taxes, product prices after tax. 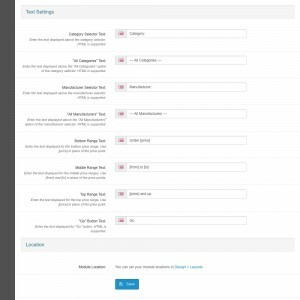 Easily create SEO URLs for the product pages by adding the URL rewrite specified in the instructions.txt file.